Almost every construction project requires planning permission from the local authority. But, if your build breaches building regulations, the local authority may demand remedial action, even if the contravention is not your fault. At Construction Insure we can protect you from that eventuality. What is Planning and Building Insurance? 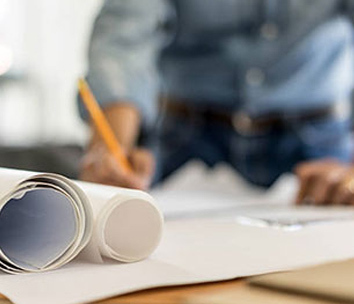 Obtaining planning permission, or building regulations approval, for your new build, renovation or rebuilding project is a fundamental part of the construction process. Once you’ve obtained the land you want to build on, or the existing property you want to work on, it’s the next stage of your project. And you can’t go ahead with any work until that permission is granted. It covers all aspects of your build, from initial design through to construction, including health and safety issues. Whatever your planning and building regulations insurance requirements, please get in touch today for a free no obligation quotation. But what happens if you’re deemed to be in breach of local authority permission or construction regulations? What if it comes to light that the property you’ve purchased transgressed its original planning permission, or that permission wasn’t actually obtained? Unfortunately, as the property owner, you may be liable for any remedial work the local authority demands is carried out. This could mean the demolition of the existing structure or restoring the building, or any parts of it, to its original condition. If this were to happen, your financial liability could be extremely damaging – and that’s without even starting work on your own build. At Construction Insure, we know that Planning and Building Insurance will protect you for just such an eventuality. Our long experience with every aspect of the construction and development industry means we can broker the insurance necessary to fully cover you. The breach of planning permission or building regulations may be identified during the conveyancing or lending process. And once it becomes apparent that work to the property contravened local authority rules, enforcement action may then be taken against you. Planning and Building Insurance will protect you against this possibility. The policy will cover the existing residential building, and any outbuildings, that were built, or converted, at least four years prior to the commencement of your policy. If you have to carry out remedial works, those costs will be covered, as well as any resulting loss in market value of your property. The policy will also cover future owners and lenders, as it runs in perpetuity (the exception is where claims payments have exhausted the limits of the indemnity). There are also time limits, after which the local authority can’t take action against you. As mentioned, Local Authorities can take action against you after certain time limits. These are: 12 months after lack of building regulations and FENSA, if, for instance, secondary glazed windows were fitted without permission. For residential properties, the time limit is four years for lack of planning permission, while, for any other breach of planning control it’s ten years. For commercial buildings, the time limit is ten years for lack of planning permission and twelve years for a breach of any relevant regulations. You can find the details of planning requirements on your local authority’s website, or at www.planningportal.co.uk. We know the construction industry from start to finish, which is why we have the right knowledge to give you the help and advice you need to make sure you’re financially protected from these sorts of claims. In the Construction Industry Insurance Cover can be that little bit more complex, which is why coming to a specialist broker can ensure you get the right cover to give you peace of mind that you are fully protected. 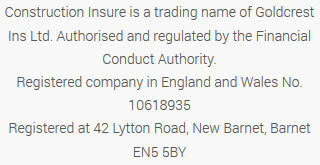 Please call us on 020 3958 6868 so we can talk to you about what you need with regards to Planning and Building Regulations Insurance or in fact, any other type of insurance related to the industry and get the cover that’s right for you.